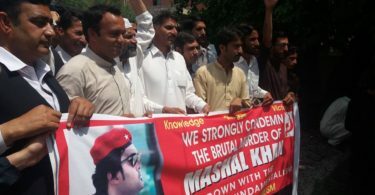 Mashal Khan, a progressive and left leaning student of Abdul Wali Khan University (AKWU) Mardan, was brutally lynched by a fanatic mob on April 13th in the university hostel. He was accused of “blasphemy”. These charges were, however, baseless and fabricated, as has now been officially stated by the police and government officials. Testimonies of the arrested murderers also confirm this. In many videos of the heinous crime uploaded on social media, it can be clearly seen that murderers were not only confessing to their crime but were celebrating his brutal and painful death. It is not the first incident of its kind. 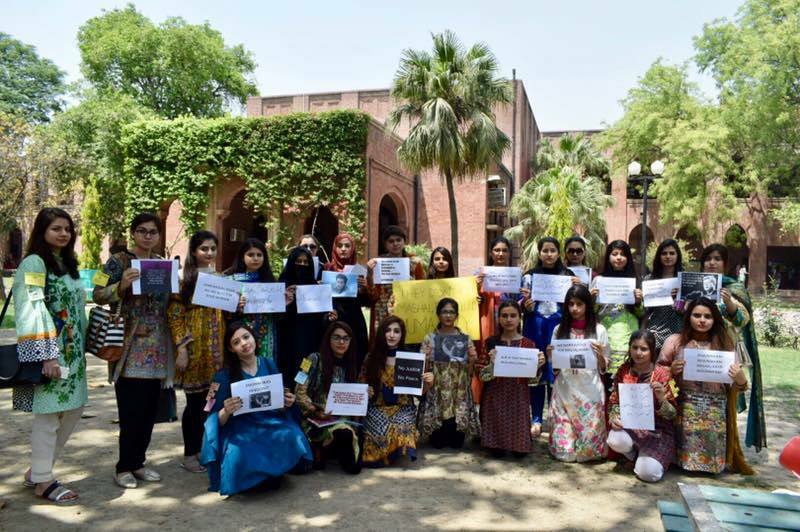 After the introduction of the current version of ‘blasphemy law’ introduced by the US backed Zia Ul Haq’s regime in the 1980s, the incidents of ‘blasphemy’ allegations leading to lynching and killing skyrocketed. Mullahs took full advantage of these laws against the progressive elements and used them to create an atmosphere of terror and fright. 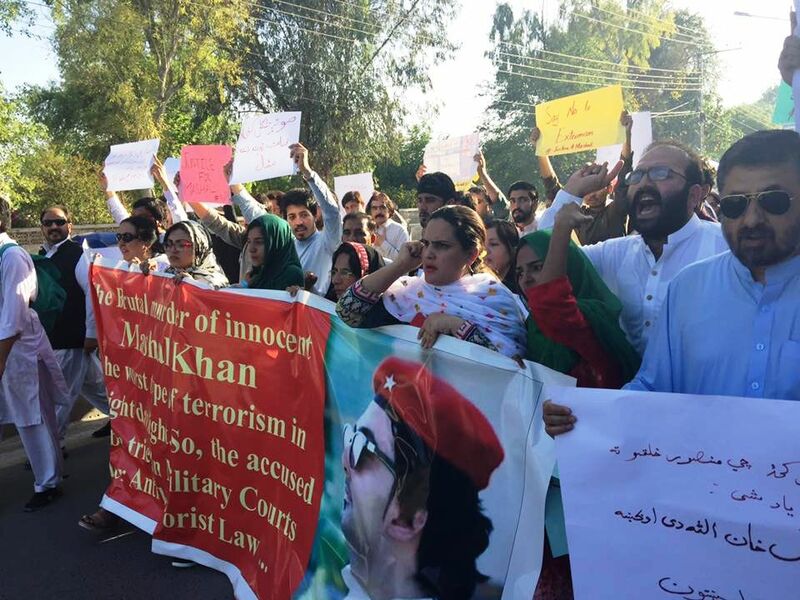 Even raising a voice against such laws is declared a blasphemy, as was the case of Salman Taseer, Governor of Punjab province during Peoples Party tenure, who was gunned downed by his own bodyguard for questioning the blasphemy law. 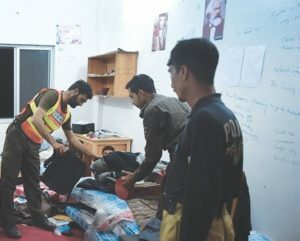 It is not only used to oppress religious minorities and downtrodden sections of society by the powerful, but with time it has become a lethal weapon to settle personal scores with anyone, in matters ranging from property disputes and personal rivalries to land grabbing and blackmailing. After these videos went viral, the corporate media tried its best to suppress the news and observed a complete black out in this regard. However, the strong pressure exerted by the social media campaign and widespread indignation forced the corporate media to break its silence and slowly the news started to emerge in the mainstream media, which was, however, very ‘careful’ in the beginning. 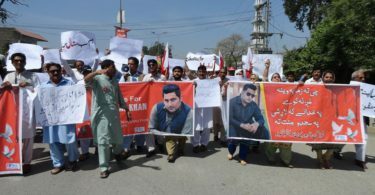 Mashal Khan is everywhere in the mainstream media now, but his ideas and essence of his struggle is being obscured. Instead of the inevitable outcome of a process, the whole episode is being painted as an act of few individuals acting on their own. 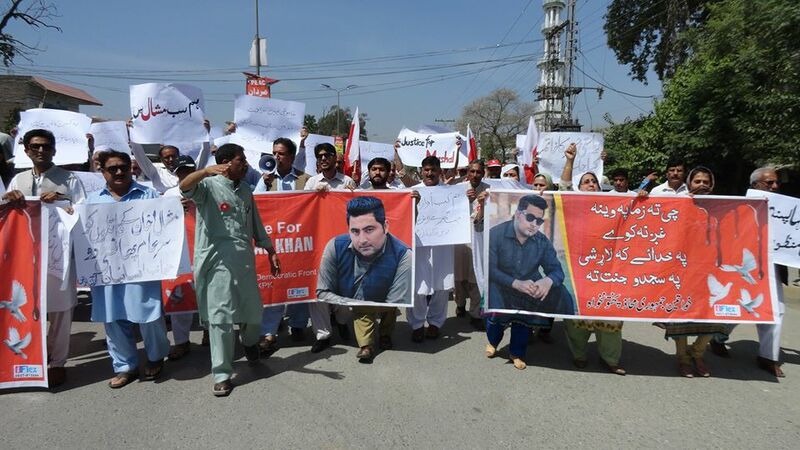 This very corporate media, now portraying Mashal Khan as a ‘hero’, and some of its patronized anchor persons, in particular, were at the forefront of an ‘anti blasphemy’ campaign run by the state, the actual motive of which was to silence the dissident voices. This campaign had created an atmosphere of panic and fear on one hand and bolstered the fundamentalists and fanatics on the other, which along with the mentioned causes inevitably led to this tragic incident. 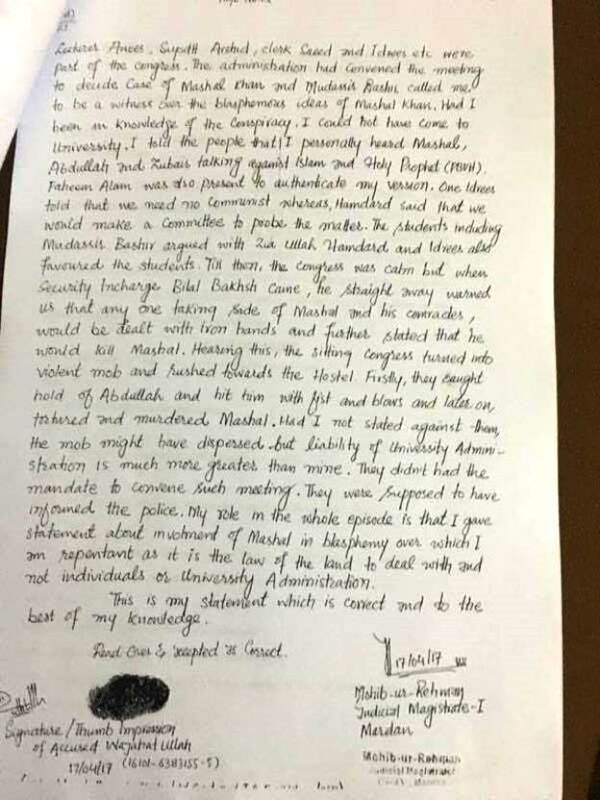 After more than five days of Mashal Khan’s murder, it has now been proven as par the testimonies of the arrested, that he was innocent and university management was complicit in the murder and got him killed through some so-called ‘students leaders’ of the campus, as Khan was running a campaign against the widespread corruption among the university official and fee hikes. 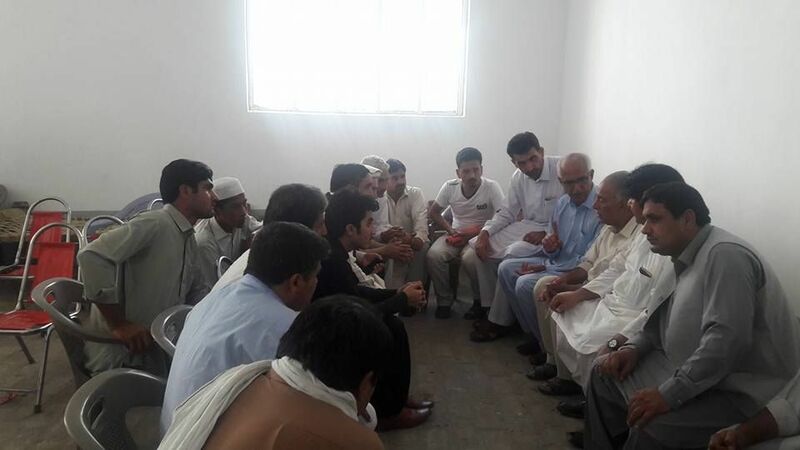 He had also filed a case at the court in this regard and raised his voice through local media channels as well. It was only on the third day of the incident that the Prime Minister condemned the incident, only after it was proven that he hadn’t committed any ‘blasphemy’, and also because the pressure from below was becoming unbearable for the state as students started organizing protest demonstrations in different institutions throughout the country. The gravity of situation was such that even one of leading clerics of the country, known for his bigoted stance on such issues, had to condemn this lynching and even called the victim a ‘martyr’. 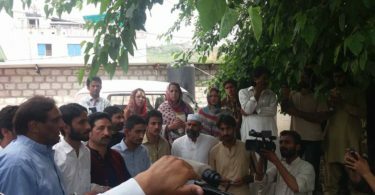 Other mainstream political parties too were forced to condemn the incident and statements full of commonplaces started pouring in. 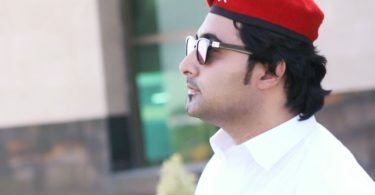 Mashal Khan was a progressive member of Pashtun Students Federation (PSF), historically a left leaning and progressive nationalist student organization, the largest by strength and influence in the Khyber Pakhtoonkhua (KPK) province. 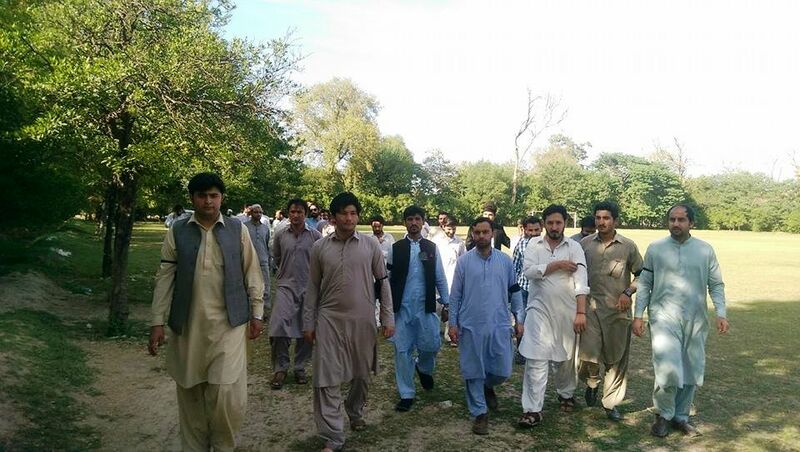 Its campus leadership was also involved in the corruption and formed a nexus with the university management. 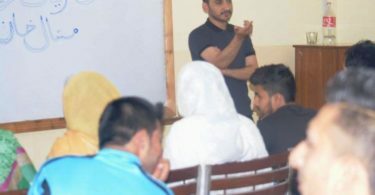 Pashtun SF is the student wing of nationalist Awami National Party (ANP), roots of which can be traced back to the secular and left-leaning nationalism of Bacha Khan. However, like other mainstream leftist political parties of the country, ANP during last many decades have swung very much to the right and its politically degenerated leadership is involved in all kinds of corruption and compromises with the state and fundamentalists. Imposed politics of the possessing classes and along with it the whole state apparatus are immersed in the black economy, which has now grown to more than 70 percent of the national economy and expanding at a rate of 10 percent per annum. Parliament and the whole political edifice are infested with crime and plunder. Deep infiltration of this black money is tearing apart the fabric of the society. The very phenomenon of Islamic Fundamentalism and extremism, having its origins in CIA backed ‘Jihad’ in Afghanistan in the 1980s, is tightly interlinked with the nexus of this black economy, which nurtures on drug trade, crimes, corruption, land grabbing, extortion, blackmailing etc. Other than the leading members of Pashtun SF, goons of IJT, the student wing of fundamentalist and fascist Jamat-e-Islami, and ISF, the student wing of right wing Tehreek-e-Insaf of Imran Khan, were involved in the lynching. 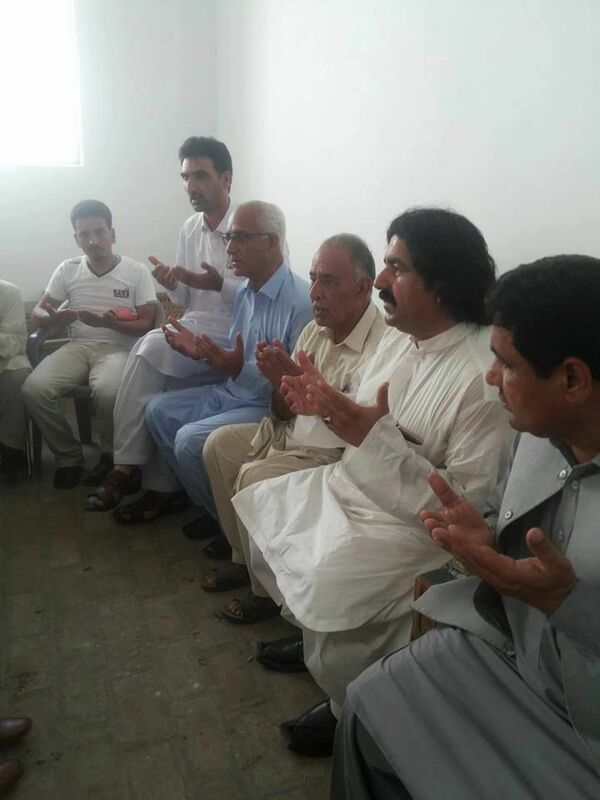 Tehreek-e- Insaf is in government in KPK in coalition with Jamat-e-Islami. It is, in fact, a ‘clean shaved’ version of Jamat and always takes apologetic or even sympathetic stance towards religious fanatics and terrorists. One of the main culprits was an acting local councilor of this party. Many of those involved had come (or brought) from outside the campus with the complete approval of university management. 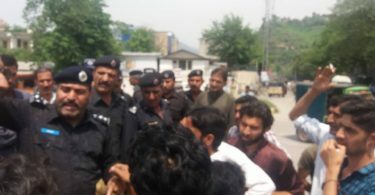 Wajahatullah, the prime accused who initiated the hate speech against Mashal Khan, has confessed in his statement to the police that he had done so on the directions of university management. The person who shot Mashal Khan was the security guard on the campus and had announced before the lynching that anyone trying to safeguard Mashal would be dealt in the same manner. As par some reports, Khan was shot in the presence of local police inspector in civil clothing. 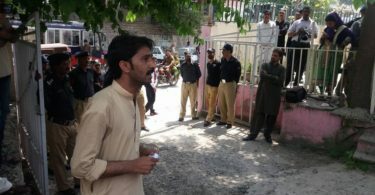 According to an eye witness, a police officer said after the murder, “it is good… they sent him into the hell directly (instead of through the legal process).” In a new video, which went viral on social media on April 19th, it can be seen that the fanatics were searching each and every car exiting the university premises for Mashal Khan in presence of the police. 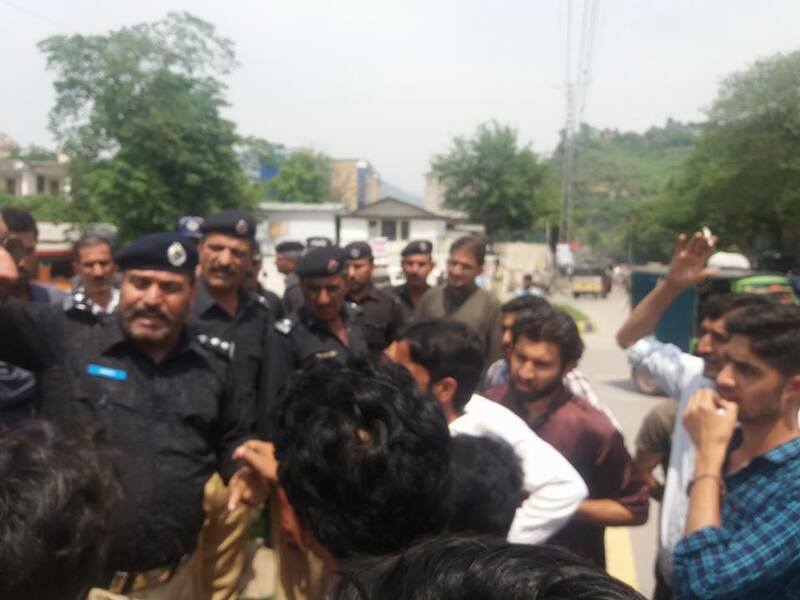 The overall character of the police force, and the state machinery in general, can be judged from the statement of an investigation officer, who on the request of anonymity said that many members of the police, prosecution service and judiciary sympathised with the attackers and he did not expect any guilty verdicts. “There are hundreds of sympathisers in my force and if I take too much interest in the case I might be killed too,” the police officer said. 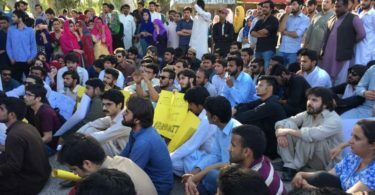 The mob was armed and the students and some teachers who wanted to help Mashal Khan could not do anything. It was being announced that anyone trying to rescue him would face the same consequences. 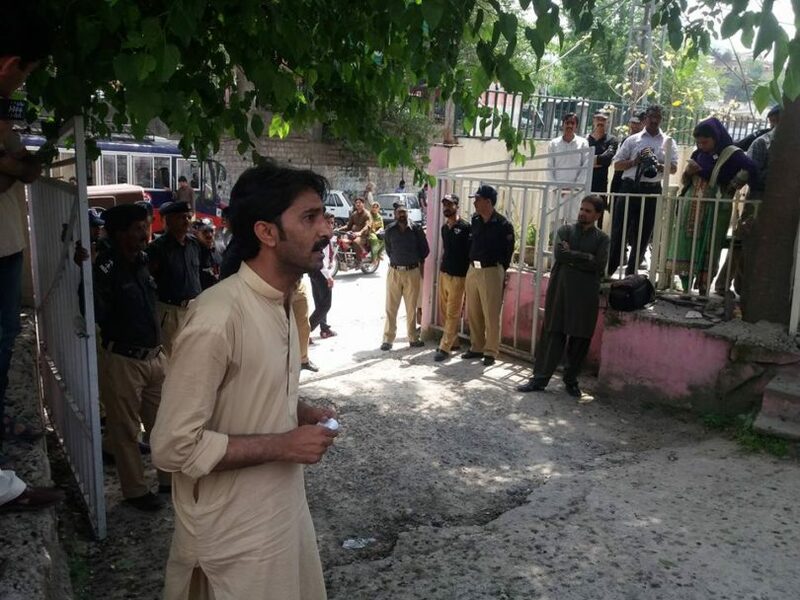 A professor, who was friendly towards Mashal and could become a hurdle, was locked down in a room. 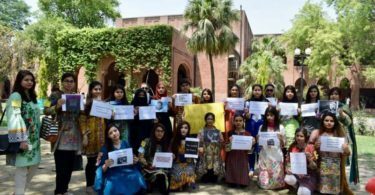 Later on, he resigned from his profession in a live television interview and confirmed that the university administration, including some professors, was directly involved in the murder. Murderers were confident that nothing would happen to them, as has mostly been the case in previous such incidents. But the wave of fury and protest spread throughout the country within few hours and expressed itself in a massive social media campaign and protest demonstrations. 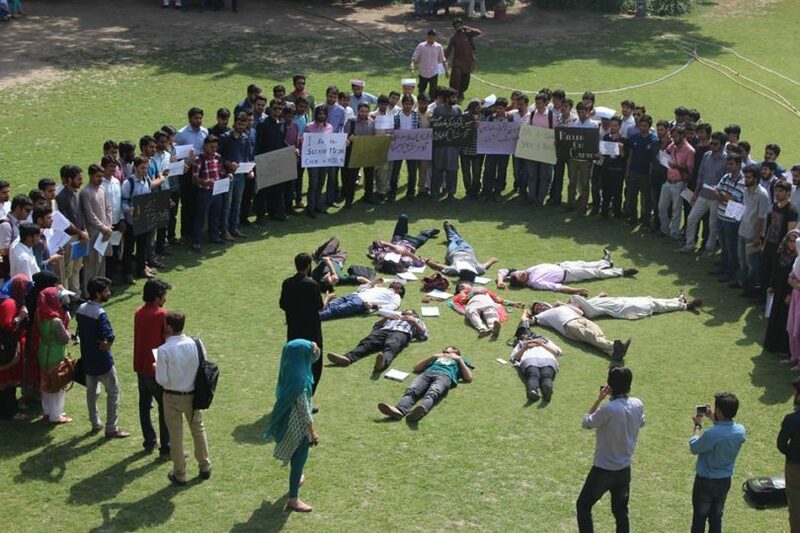 Some of these protests were spontaneous in-campus demonstrations while some were organized by student organizations. In some cities Joint Action Committees were formed, composed of progressive and leftist student organizations and campus societies. 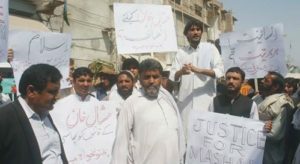 But the most significant protest demonstration took place in Mashal’s hometown, Swabi. 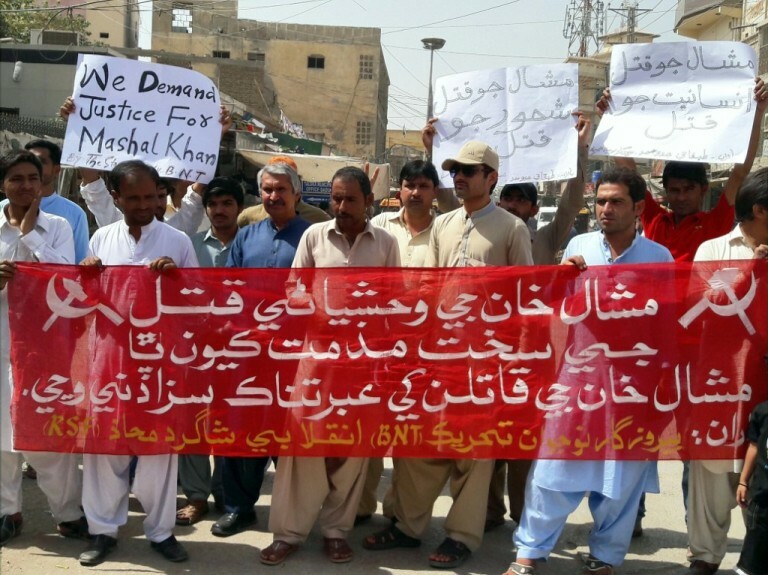 Hundreds of men, women and children march throughout the town in solidarity with Mashal’s family, chanting slogans “Mashal is innocent” and “Mashal is a martyr.” This was the same town in which the local cleric had refused to the lead the funeral prayer and final rites of Mashal Khan, and issued a ‘fatwa’ that anyone participating in final rites would have his marriage abrogated. 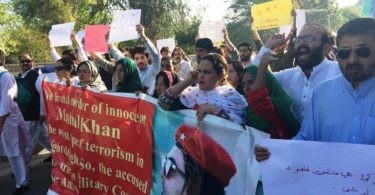 But after the initiative of some brave individuals, like Shireen Yousufzai, hundreds of people came out. A delegation of Pakistan Trade Union Defence Campaign (PTUDC) and Revolutionary Students Front (RSF) visited Mashal’s family in solidarity in his native village. 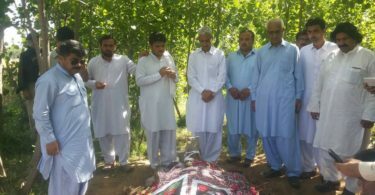 They expressed condolence to Mashal’s father Iqbal, his relatives, family and friends. 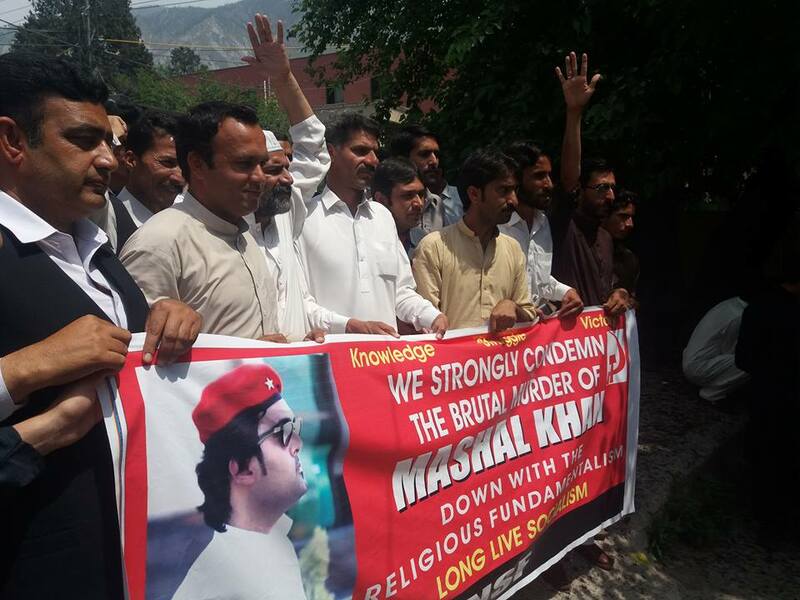 Mashal’s uncle said, “He (Mashal) received a degree in which he was not happy at all, because he realized that this degree will only help him individually but not the others around. 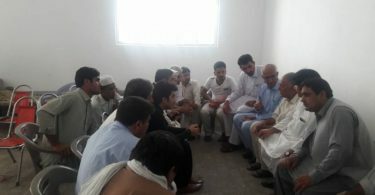 That’s why he got admission in Mass Communication to raise the voice of the oppressed.” Another family member told, “Mashal told me many times about the corruption of university administration and he always wanted to expose it.” Progressive political workers from all over the Pakistan are visiting his family. 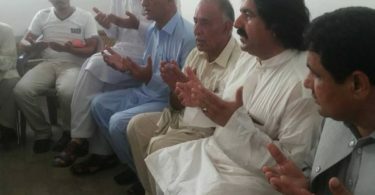 Some political representatives of the ruling class also visited his village for a photo session and hypocritical statements. 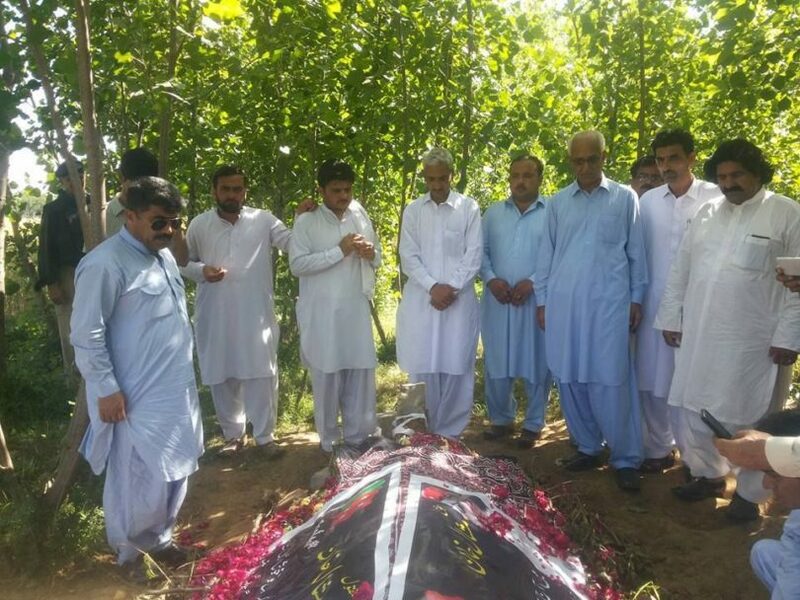 Mashal’s father, a progressive poet himself, has shown unbelievable courage and determination and in one of his many statements said, “we must carry Mashal’s ideology and his mission forward… There is a Mashal in every family… I don’t want other parents to lose their Mashal as we did.” The delegation of PTUDC promised every possible political, legal and moral support to the family and demanded the full exposure of the direct and indirect culprits involved. 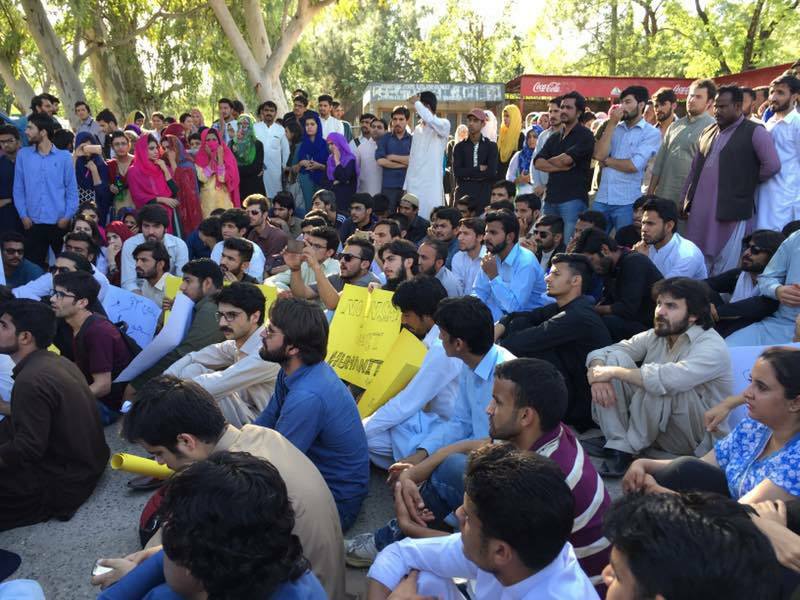 On April 14th, progressive students of Pashtun SF demonstrated inside Peshawar University and also joined the protest with left-wing groups in front of Peshawar Press Club. 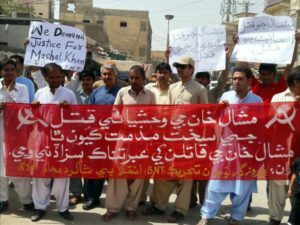 They demanded that culprits be brought to justice as soon as possible. 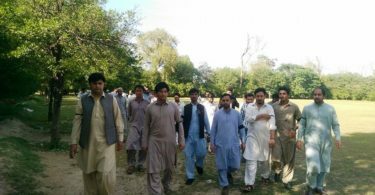 Peoples Youth Organization (PYO), Peoples Labour Bureau, Bannu and PTUDC organized a massive really in Banu district Khyber Pakhtoonkhua. The demanded immediate action against the culprits. 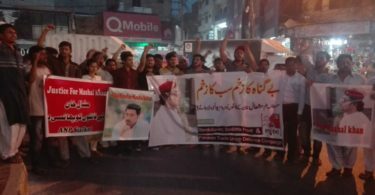 Unemployed Youth Movement (BNT) and Revolutionary Students Front (RSF) organized a protest and rally from Municipal Park to Press Club in Dadu, Sindh. Addressing the protestors, Hanif Misrani, Sajad Jamali and Anwar Panwar (President PTUDC Sindh) said that Mashal Khan was struggling against class based educational system, fees hike and the corruption of university administration, for which he was killed in the guise of religion; the allegations against him were fabricated; he was becoming a symbol of resistance against the university administration, which couldn’t afford the resistance even from a single individual, because it could turn into a movement. 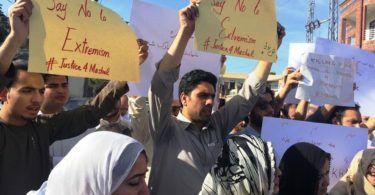 Students Action Committee (SAC) organized a rally from Science College Quetta against the brutal and horrific murder of Mashal Khan. 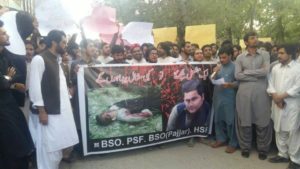 Students and youth from Baloch Students organization (BSO), Watan Pal Students Federation (WSF), Pashtun Students Federation (PSF), Peoples Students Federation (PSF) and Hazara Students Federation (HSF) participated in the protest. 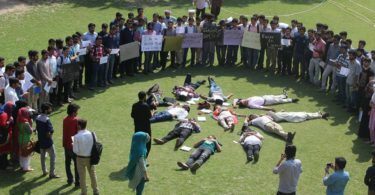 Speaking on the occasion, students leaders demanded that all those involved must be severely punished. They said that the resistance to oppression and exploitation is the first step of our unity. 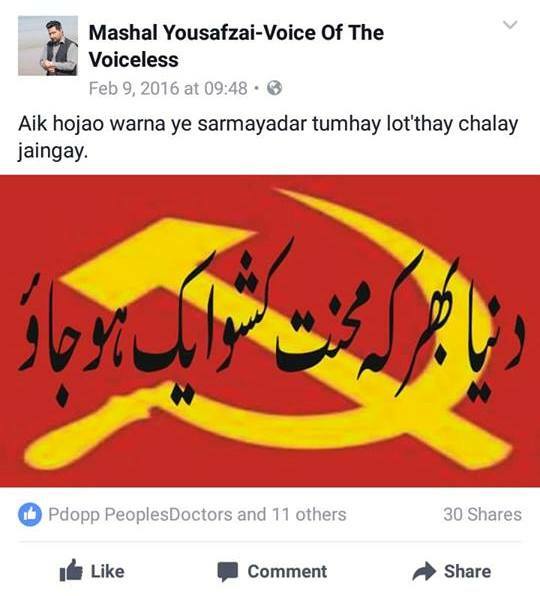 Our unification is the reflection of Mashal Khan’s struggle against this exploitative system. The aim of Students Action Committee (SAC) is to fight against the problems that students face and to struggle against fundamentalist and fascist elements. 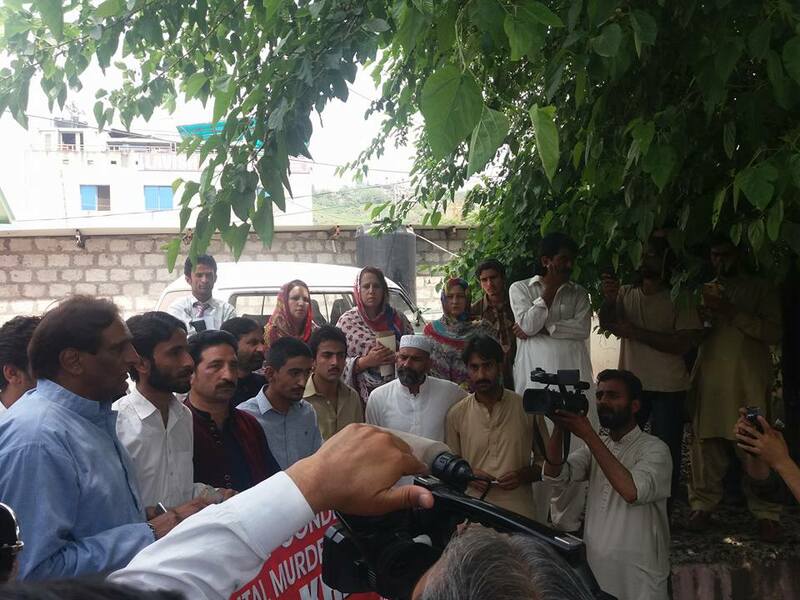 In Muzaffarabad, Jammu and Kashmir Students Federation (JKNSF) and Peoples Students Federation (PSF) organized a protest demonstration. Police tried to disrupt the demonstration and things almost reached to the point of clash, but the students were not in the mood to quit and the police had to back down. 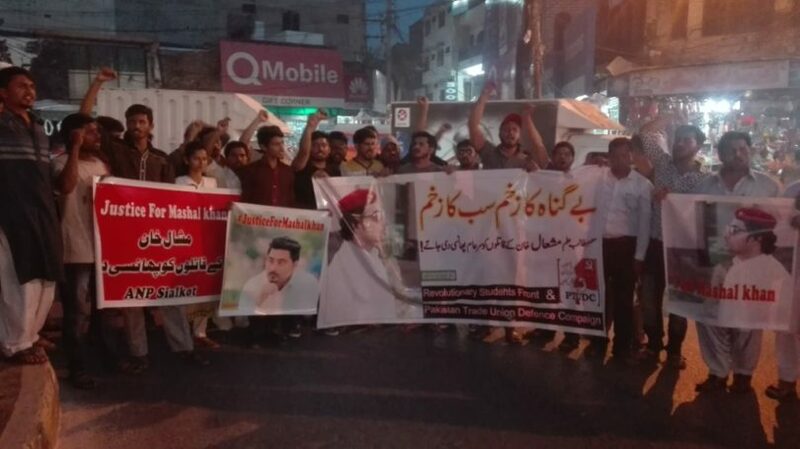 In Sialkot, RSF and PTUDC led a huge rally to the main square of the city. 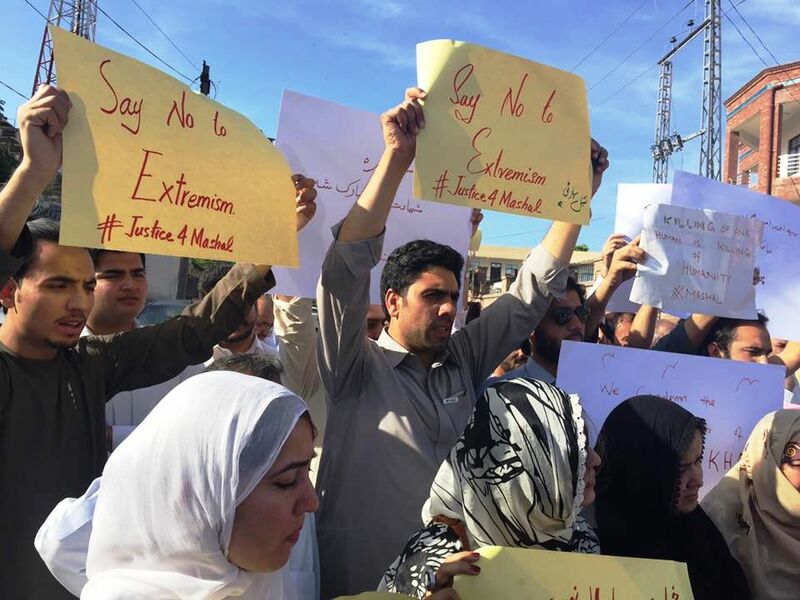 Participants were chanting slogans against fundamentalism and government. Students from the neighboring town, Daska, decided on the spot to organize a protest in their town on April 20th. 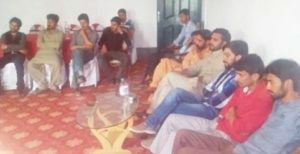 In Rawalakot, JKNSF called a general meeting of all progressive student organization to plan a huge protest demonstration. The participants included all the factions of JKNSF, Peoples Students Federation (PSF), factions of Liberation Front and other progressive organizations. A massive demonstration would be held on April 25th. The ruling elite and state apparatus, in spite of all fancy statements and promises, are frightened with this spontaneous reaction of the masses, particularly the students, because they are well aware that it can trigger a wider movement, or at least set an example of resistance and agitation against the bigotry and complicity of state. It is being tried to divert mass attention towards the non-issue of ‘Panama case’ verdict against PM Nawaz Shareef, which would be announced April 20th. The interest and involvement of masses, however, in the non-issues raised by the corporate media and the moneyed politics of the ruling class is already at a historical low. As par a recent PEW survey, only 14 percent of the total population have any interest or involvement in the mainstream politics. 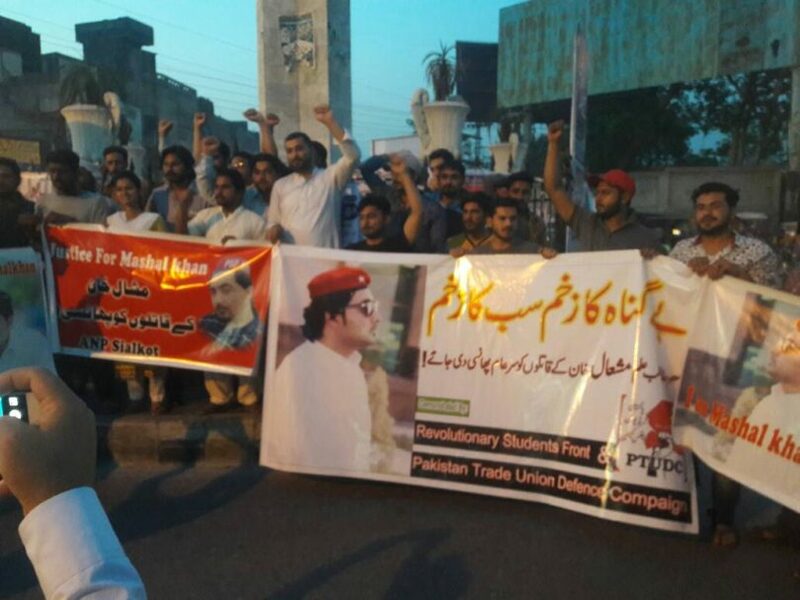 Mashal Khan has emerged as a new symbol of resistance and revolt against the oppression and exploitation of this system and the state. 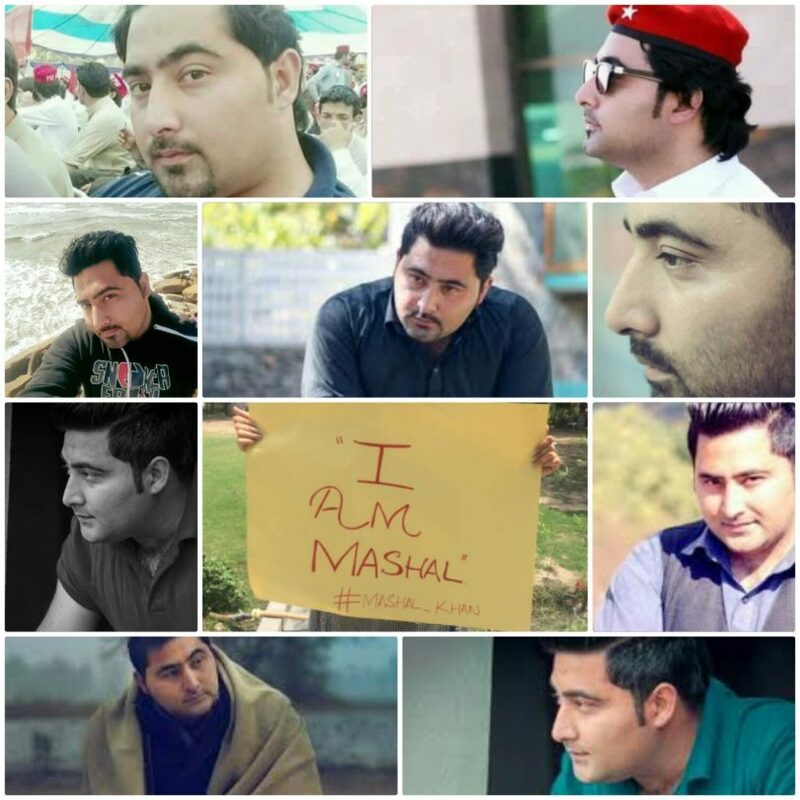 “I am Mashal” have become a popular slogan on social media and can be heard throughout the protest movement. The need of the hour is to expose the systemic and historical roots of modern Islamic fundamentalism, the criminal role played by the imperialism and local ruling classes in this regard and how the imperialism and fundamentalism are two sides of the same coin. 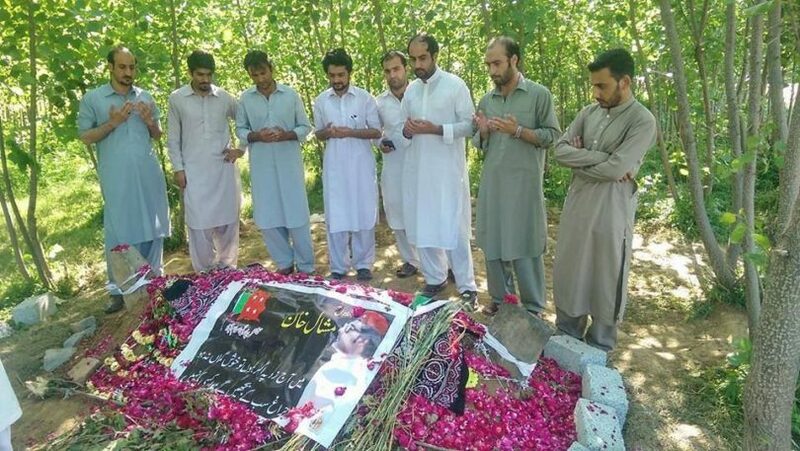 Progressive elements within Pashtun SF would have to fight, as they have done in Peshawar and Quetta, inside the organization and its mother party against such alien fascist tendencies, who have nothing to do with the tolerant and secular traditions of Pashtun nationalism. 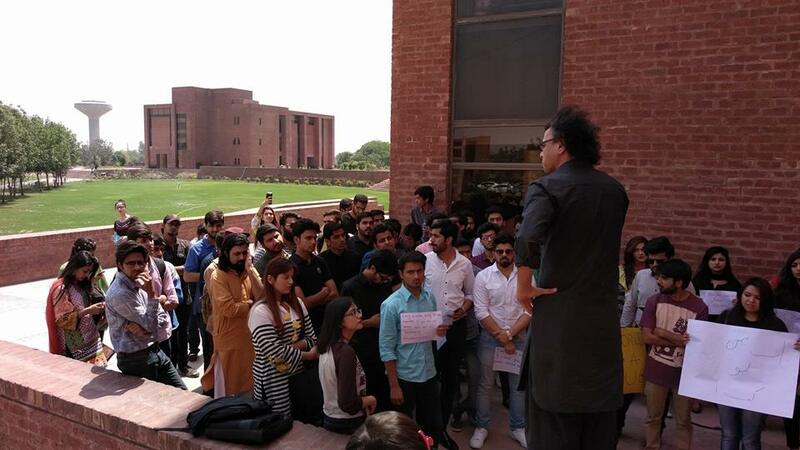 This emerging movement should also be linked with the burning issues of students and youth: fee hikes, unemployment, ban on students unions, privatization of education, lack of recreational activities, state oppression and alienation. 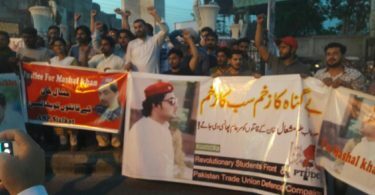 RSF will run and continue this campaign in coming weeks with the collaboration of other progressive organizations and currents, and the struggle of Mashal Khan would be carried through to its logical conclusion, which can be none other than the overthrow of rotten and historically obsolete capitalism. 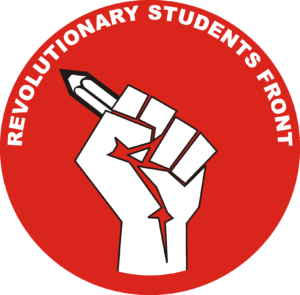 RSF aims to unite all the progressive students on a political platform to organize and fight for the cause of revolutionary socialism.